We are extremely pleased to announce that we have a new venue for our monthly events: One Up Elevated Lounge! 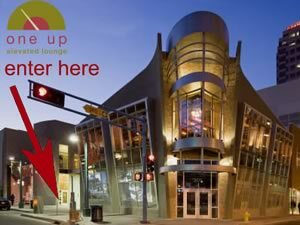 One Up is located downtown at 301 Central NW on the 2nd floor. It is a gorgeous lounge, featuring a full bar and menu, as well as billiards that we plan to partake of for our post-presentation socializing. For our events, we will be utilizing their small meeting room, which has a large, flat-screen TV and plenty of comfortable seating. And, of course, Wi-Fi will be available. Just like Uptown, we will have a dedicated server for your food and beverage needs. Unlike Uptown, we will no longer have sound problems, as the meeting room actually has a door! Street parking is free after 6pm, and One Up is just a few blocks from the parking garage. However, we are looking into parking options at a lot nearby and will let you know if we can get a deal. Looking forward to seeing you at our new venue in February!